Dr. John Gorrie patented a "refrigeration machine," receiving the first US patent for a mechanical refrigeration system. Cryogenic rocket propellants would not be possible without the technology. M. Wolf discovered asteroid #417 Suevia. The German zeppelin Hindenburg caught fire and was destroyed within a minute while attempting to dock at Lakehurst, New Jersey. Of the 97 on board, 13 passengers and 22 crew members were killed, one ground crew member died, making the death toll 36. The first nuclear warhead fired from a Polaris-carrying submarine was launched from the USS Ethan Allen and detonated over the South Pacific in the only complete operational test of an American strategic missile. D. McLeish discovered asteroid #2854. C. U. Cesco and A. R. Klemol discovered asteroids #1829 Dawson, #1991 Darwin, #2308 Schilt and #2504 Gaviola. The first "Moon Tree" was planted, in Washington Square, Philadelphia. Moon Trees were grown from seeds carried to Lunar orbit by Stuart Roosa, a former U.S. Forest Service smoke jumper, on Apollo 14. C. Shoemaker discovered asteroids #2742 Gibson, #2773 and #2982 Muriel. NASA's STS 51B (Challenger 7, 17th Shuttle mission) landed after carrying the Spacelab experiment platform for its third flight. NASA's STS 39 (Discovery 12, 40th Shuttle mission, 70th US manned space mission) landed after a dedicated Department of Defense mission. NASA's STS 55 (Columbia 14, 55th Shuttle mission) landed after carrying the D-2 Spacelab Mission (the second German-dedicated Spacelab) in orbit. At the end of the flight, the Shuttle fleet had accumulated over one year of mission flight time. The Chunnel, linking England and France under the English Channel, was officially opened by English Queen Elizabeth II and French President Francois Mitterrand in a ceremony held in Calais, France. Millionaire Dennis Tito landed in Soyuz TM-31 after spending nearly 8 days in space as the world's first space tourist, having paid $20 million for the trip. 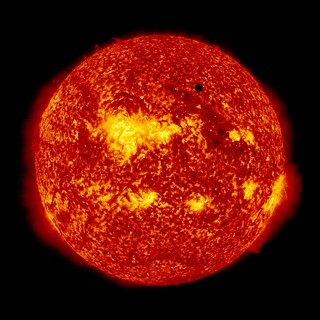 A transit of Venus (across the Sun) as seen from Earth occurred. Transits occur in eight-year pairs more than a century apart, the next pair will occur on 10-11 December 2117 and in December 2125.